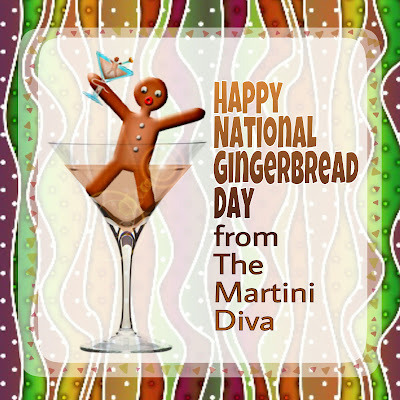 I think it's a little odd that someone picked a day in June for National Gingerbread Day. Someone else, more seasonally minded, picked November 21st as Gingerbread Day. Gingerbread is something I associate with Christmas but, there you have it, National Gingerbread Day is commemorated on June 5th, while Gingerbread Day is celebrated in November. Serve up any of these drinks with my favorite cookie of all time - my Mom's Gingersnaps.